This unisex leather necklace is both stylish and unique. The necklace is made with leather cord and is affixed with a lobster clasp that is made of 925 sterling silver. The 10mm Tahitian South Sea pearl dangles freely from the cord and the pearl size and quality can be customized to your preference. The necklace comes in a standard 18' necklace length for a great fit around the neck, and you can also customize the length of the necklace below. Please call or email us if you have any questions. Just lovely! I purchased it for my fiance as a wedding gift - I know he will love it! It is beautiful. Men can wear pearls. 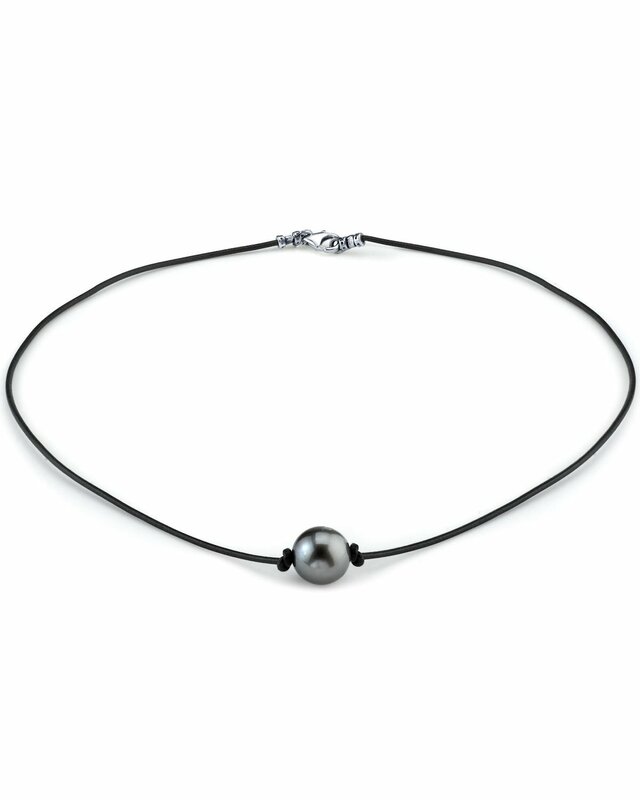 The Tahitian pearl is a wonder of nature! It is very special.